On 27th April 1942, the crew of Halifax W1053 TL-G from 35 Squadron took off at 2021 hrs from RAF Kinloss on the North East coast of Scotland to participate in an attack on the German Battleship Tirpitz which was moored at the time in Fættenfjord in Norway. On arriving at the target they found it to be obscured by a smoke screen. They dropped their load of mines in the vicinity of the target possibly to port of target. The aircraft and crew returned safely to RAF Kinloss landing at 0455 hrs on 28th April 1942. On 28th April 1942, the crew of Halifax W1053 TL-G from 35 Squadron took off at 2035 hrs from RAF Kinloss on the North East coast of Scotland to participate in an attack on the German Battleship Tirpitz which was moored at the time in Fættenfjord in Norway. The 35 Squadron Operation Records Book entry for this aircraft states that "Nothing was heard from this aircraft from the time of take off". The crew onboard had participated in the attack on Tirpitz the previous night, and with the exception of Sgt Russell, they had also particpated in the attack against Tirpitz on March 30/31st 1942 in Halifax R9439 TL-A. On both these occasions they had landed safely back at RAF Kinloss, however, on the night of the 28th April they were not to be so fortunate. Back at Kinloss, it became apparent that there were two of the 35 Squadron aircraft missing (W7656 TL-P flown by F/Lt Petley and crew was also missing). Two of the 35 Squadron pilots and their crews, Wing Commander J Marks and Flying Officer R J Lane, who had participated in the attack on 27th April, took off from Kinloss to join the search by other aircraft for the missing Halifaxes. They searched for nine and a half hours but did not find any sign of the aircraft, crews or dinghies. 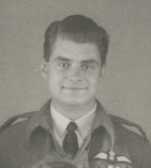 In fact, W1043 TL-G had been shot down in the target area and had crash landed killing the 2nd Wireless Operator, Sgt 'Rusty' Russell. Sgt Russell is buried in Trondheim (Stavne) Cemetery, Norway. The rest of the crew survived the crash, and their story is charted below. This account was last updated in June 2003 following John Morrisons return to Norway to meet and thank some of the Norwegian people who assisted him and Reg Williams during their attempt to evade capture by the Germans and make for Sweden. The crew of Halifax W1053 TL-G George had in fact successfully crossed the North Sea in what was described by one crewmember as "an uneventful outward trip". Once over the Norwegian coast the Navigator, Reg Williams, took up the Bomb Aimers position in the aircraft and the Flight Engineer, Dennis Butchart, took the position of 2nd pilot. The 35 Squadron Halifaxes were flying with a crew of six on this and the previous day's operation to Tirpitz. The 2nd Pilot position had been dropped some say to reduce weight and allow extra fuel to be carried, others say to avoid losing two pilots should the aircraft crash. The Flight Engineer was responsible for assisting the Pilot to fly the aircraft when required. As they flew up Trondheimfjord the aircraft descended to 150 feet and entered Fættenfjord where the Tirpitz was moored. John Morrison, 1st Wireless Operator/Air Gunner, describes this as entering what appeared to be the entrance to hell. The aircraft was in the German smoke screen and was being fired at by what seemed to be every single weapon in the immediate vicinity. The noise of the bullets and shrapnel hitting the aircraft was unbelievable and there were flashes of light and tracer in all directions. The Tirpitz and surrounding vessels were firing at the aircraft and because it was flying so low it was also being fired down on from AA positions above the Tirpitz on the sides of the fjord. Reg Williams shouted that Tirpitz had been swung round 90 degrees. The Canadian Pilot, Johnny Roe, calmly told his crew that they would go round again and have another go. Almost immediately there were sounds that indicated the aircraft had been badly hit in several places. Bill Parr, the Tail Gunner, shouted to Johnny the Pilot to try and make it to Sweden. However, Johnny Roe must have been aware that his aircraft would not make it that far and ordered the crew to make for the "rest" positions and prepare for a crash landing. At this, Reg Williams immediately jettisoned the mines that they were carrying. A young woman who lived near Lake Hoklingen and who had been disturbed from her sleep by the attack on Tirpitz watched out her window. She saw the Halifax W1053 TL-G in flames passing low over the lake where Halifax W1048 TL-S 'Sugar' had crash landed the previous night. As she watched it fly on she saw the mines jettisoned and crash through the ice on the frozen lake. In the morning the holes where they had passed through the ice were clearly visible. The aircraft was well alight as Johnny Roe in the Pilot's position and Dennis Butchart in the 2nd Pilots seat fought to land the stricken aircraft. John Morrison, Reg Williams and Cyril Russell went to take up the "rest" positions. John and Reg made it but there was no sign of 'Rusty' Russell and they assumed that he must have been hit. The aircraft crash-landed in flames near the small farms, Elverum and Sørmo, just east of Lake Movatnet coming to rest in a small wood. As soon as the aircraft came to a halt, John Morrison and Reg Williams made their escape through the mid upper escape hatch and jumped down through the flames. They staggered away from the blazing aircraft before turning to look back. When they looked back they saw the Flight Engineer, Dennis Butchart, on his knees struggling to get free from the blazing wreckage. John and Reg ran to help him wondering how on earth anyone could survive the intense heat from the flames. They pulled Dennis free from the blaze and moved to a safe distance where they assessed their situation. The three were in a sorry state. During the crash John had sustained a heavy blow to his face. He had a deep cut to his upper lip and his upper denture was broken. Reg had severe burns to his face and hands. Dennis was in a much more serious state. His clothes and skin were seriously burnt; he was clutching his left side with his right arm and was barely able to talk as he gasped for breath. He managed to tell John and Reg that he had seen 'Rusty' Russell and that he had not survived the crash. Apparently the turret had crashed down on him and crushed him. It had caught Dennis on his side trapping him, but he had managed to pull himself free. Unbeknown to John, Reg and Dennis, the Canadian Pilot, Johnny Roe had escaped from the front of the aircraft, and had met up with the Tail Gunner Bill Parr, also from Canada, on the Starboard side of the aircraft. Both men were relatively unscathed after the crash and they set off together in an eastward direction hoping to reach Sweden. Two brothers, Gudmund and Petter Trætli from Trætlia Farm recall assisting two airmen that night who had badly burnt hands. 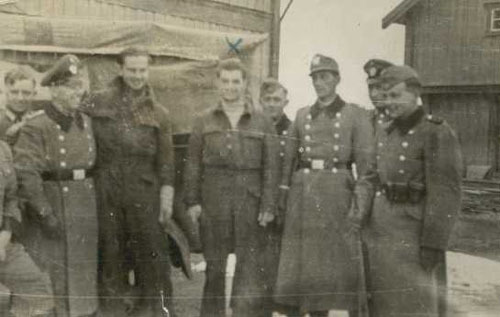 They helped to bandage the wounds and also gave the airmen food before giving them directions for the Swedish border. It's most likely that the airmen assisted by the Trætli brothers were the Canadians, Johnny Roe and Bill Parr. As the three injured men made their way from the crash site their eyes grew accustomed to the darkness and they were able to see a little more of their surrounding area. There was a full moon in a cloudless sky and they could see that there were lights on at a nearby house. John and Reg had to support the full weight of Dennis who was too badly injured to walk unaided. There was no way that they would all make the journey cross-country on foot to the Swedish border, which was forty miles to the east. John and Reg knew that Dennis was in no state to make such an arduous journey through the rough and snow covered terrain. They had to get some help for him as he was in urgent need of medical attention. and spoke to the man asking if he could give help to the wounded airman, Dennis. The man was Ingvald Arnstad. He worked for the forestry servicing and maintaining the machinery and was living at Sørmo Farm. As the burning aircraft had made it's final descent, he had been watching from a window in the farm with Anna Sørmo. They had wondered if it would hit the house, Anna was very afraid that it might. When the Halifax crashed, Ingvald ran out to see what he could do to help and this is when he found John, Reg and Dennis. A door in the house opened and an older man came out, John Sørmo, husband of Anna and owner of Sørmo Farm. Together with Ingvald Arnstad he helped take Dennis indoors. Reg and John followed not knowing if they were in the hands of friend or foe. The men had been taken to Sørmo Farm, and were being looked after by a Norwegian couple, John and his wife Anna as well as Ingvald Arnstad. Also in the house were John and Anna's children, Egil who was twelve and Bjørg who was nine. Bjørg's friend, Jorun from the neighbouring Elverum Farm was also present. They were led into a small room and Dennis was laid on a couch where he seemed to pass out and lose consciousness. Using sign language and gestures John and Reg tried to explain that they wanted to head for Sweden and that they must leave immediately as they were afraid of being captured by the Germans and they were also afraid for the safety of the Norwegians who were helping them. They asked if they could have some food for the journey and coats to hide their RAF uniforms. The Norwegian's motioned John and Reg towards a couple of chairs indicating that they should sit down. Unsure about what was to come next John and Reg complied feeling that they were now in the hands of these people. The son, Egil, was sent to fetch a woman who was living in a neighbouring house and who spoke some English. He returned with the young woman who told John and Reg that she had lived and worked in London for three months. The young woman was called Oddlaug Øvreness, but it would be almost 60 years before this was known to the airmen, and it would be over 60 years before the names of all the other brave Norwegians in this story would be known too. In 1942 they were nameless, it was safer that way, but they were never to be forgotten in the many passing years despite the brief contact they had with the airmen in April 1942. John and Reg were very anxious about Dennis and urged Oddlaug to get a doctor for him and get him to a hospital. They also asked how long it would take for the Germans to arrive at the farm. Oddlaug assured them that the Germans would not be there for a good while. Anna and Oddlaug prepared some sandwiches for the airmen. They noticed the burns on Regs hands and wrists and carefully dressed them by covering them with the yolks from some eggs. John has his face cleaned up as much as was possible. Meanwhile, the Norwegian men, John and Ingvald, took off their jackets, emptied the pockets and handed them to John and Reg who put them on over their RAF battledress jackets. Worried that the Germans would arrive at any minute, Reg and John said their goodbye's to Dennis and their grateful thanks to the Norwegians who had helped them. Ingvald accompanied Reg and John but they were very anxious about him being seen with them and they were concerned that he was in danger of being shot by the Germans if it was discovered that he had assisted them. He was eventually persuaded to leave them to continue alone, and before doing so he pointed out the direction for John and Reg to take then left them to continue their perilous journey. It was important that Ingvald got back to Sørmo Farm to avoid arousing the suspicions of the Germans. On returning to the farm Ingvald went to bed so that he could pretend that he had been there asleep all night should he be asked. A local doctor was called to Sørmo Farm to attend to Dennis. He sent for an ambulance, and a local Norwegian ambulance arrived at the farm some time later and took Dennis to the grocery shop in nearby Markabygd where he was later collected by the Germans. Very early next morning, Ingvald and John made a careful check in the area around the farm to make sure that any guns, ammunition, radios etc were removed in case the Germans made a search of the farm and found them. Many of the farming families had such things hidden secretly in their houses. A life vest was seen lying in a field a little way off. In order not to bring attention to the fact that they were gathering it, the children played in the snow and slowly moved closer and closer to the life vest until they were able to reach it and hide it. The children were sent to their beds and were told to say that they had been in their bed asleep all night. When the Germans arrived, the children were in their beds, and Anna was in the house with them. The Germans interrogated Anna relentlessly, but she claimed that the only airman that they had seen that night was the one who had been in her kitchen with a broken arm (Dennis Butchart) and that he had been taken away in the ambulance. Luckily there were no Norwegians arrested at this time. The Germans never let the case rest, and two years later a local man was arrested, questioned about the crash, and imprisoned despite having been somewhere else at the time of the crash in April 1942. The man who was arrested was the local school master, Mr Øvreness. He was the father of Oddlaug the young woman from a neighbouring house to Sørmo Farm who had been fetched the night of the crash to translate for the airmen. Immediately after his arrest he was taken to the jail in Trondheim and then later was sent to Falstad. Mr Øvreness knew well about his daughters involvement in helping the airmen from the crashed Halifax but told no one. He was eventually released from Falstad, returning to Norway on May 8th 1945. For the rest of the night of the 28th and for most of the day on the 29th John and Reg trudged through miles and miles of snow, which was well over knee deep. Some time on the 29th they came to a lake where there were fisherman's huts. The lake was called Tomtvatnet. With exhaustion about to overwhelm them they forced the door lock on one of the huts and entered to find the welcome sight of two beds. The combination of the crash and the long walk had worn the two men out and they slept for the rest of the 29th and most of the 30th too. At dusk on the 30th John and Reg set off again. They left some money from their escape kit under a small jug on a wooden table at the hut to pay for the broken door lock! They continued their journey walking in an easterly direction and keeping to the mountains to avoid meeting anyone. The walking was slightly easier this time as the snow had frozen and it was possible to walk on it without sinking so far down. Once again they walked all through the night. 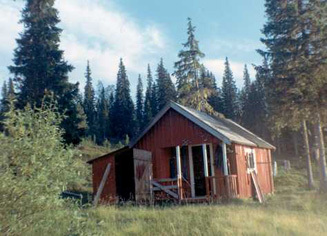 Later in May 1942, when much of the snow had melted, Tormod Langeland visited his hut at Tomtvatnet and discovered the door was open and the door lock was broken. At first he didn't know what or who he would find in the hut. When he entered he found the money that John and Reg had left on the table. On counting it he found there was Nkr 60, which in 1942 was quite a sum of money and certainly more than enough to pay for a new door lock. At about 8am on May 1st they descended from a hill and came to two farms, which they watched carefully under cover of bushes and small trees for an hour before knocking on the door of one to ask for food. The farm was called Vikvang Farm in Inndalen, and was home to Mette and Odin Vikvang and their ten children. The couple were obviously very frightened, but despite their fear they generously made sandwiches for the John and Reg and spoke to nobody about what they had done until after the war. The Vikvangs eldest son, Ola, guided John and Reg a little way up Løssiberget, the small hill behind the farm, and pointed them in the direction for Sweden. Setting off once again on foot through the snow Reg was beginning to have trouble with his badly burnt hands. They decided to leave the mountains in the early evening and risk walking along the road where they would be able to make faster progress. At about 2100 hrs they passed through a small place called Sul and shortly after this decided to leave the road and find some shelter for the night. It's believed that their location at this time was Bjorndalen. Two men who cycled past saw the footprints that John and Reg had left in the snow where they had left the road to seek shelter. They must have reported it to the Germans because 15 minutes later a German Patrol arrived and captured Reg and John. A further six miles on and Reg and John would have reached the Swedish border and safety. They were taken in the back of a truck to Sandvika Mountain Lodge, a German border post near the border with Sweden. On arrival they disembarked from the truck and a German soldier approached them. He unslung his rifle, cocked it and pointed it at John and Reg. Then, using the rifle, he indicated that the Swedish border was a mere 300 meters away. To John it seemed that he wanted them to attempt to run for the border. However, with a loaded rifle pointed at them at close range they wisely decided to stay put and thus stay alive. From Sandvika they were transported to spend their first night in captivity in a cell at Lavanger jail. The next day they were taken to Trondheim and from there to Oslo by train where they spent a few nights before being flown to Germany. The following day, on May 2nd, Johnny Roe and Bill Parr were captured in the Sogna area. Johnny Roe (cross above head) and Bill Parr pictured at Sandvika Mountain Lodge with the Germans who captured them. The Canadians were also taken to Sandvika Mountain Lodge before likely following the same route as John and Reg to Germany. Some time after the Pilot, Johnny Roe, was captured, his wife received a letter from Norway. It was dated May 6th 1942. The letter told Johnny's wife that he had baled out of his plane by parachute (a slight inacuracy, since the aircraft actually crash landed) and that he had been trying to reach the Swedish border but had been captured by German Guards. It said that Johnny had been allowed to warm himself at the fire in the guardhouse and that the letter writer had served him food and that he seemed in good spirits when he had left for Trondheim. The letter writer also said that they had heard via a 'friendly German' that the Canadians had sent greetings to him/her and that they had also talked to a Scotsman who had come from a burning plane and was being treated at a hospital in Trondheim. This would most likely have been Dennis Butchart who came from Dundee in Scotland. There was also mention of two further Scots who were burnt and had been captured - possibly referring to John Morrison and Reg Williams, although Reg is Welsh. The letter goes on to reassure Mrs Roe that the Germans had said that they treated their prisoners as well as possible and ends with heartfelt wishes that Mrs Roe will have her husband home in the near future and that all the strife will come to an end soon. The final line states "Your man was here 2nd May 1942" and then some initials - presumably the letter writers initials? The identity of the person who wrote and sent the letter has not been discovered thus far, but it would surely have brough great comfort to the Roe family who were anxiously waiting for news of what had become of Johnny when he didn't return. John, Reg, Johnny and Bill spent the remainder of the war in various German POW camps (Stalag Luft 3 and 6 and Stalag 357). Dennis Butchart was taken to a hospital in Oslo where his injuries were treated and he recovered sufficiently by September 1942 to join the rest of his crew at Stalag Luft 3 prisoner of war camp. On April 7th 1945, Reg Williams and John Morrison were in the first column of some 400 Army and RAF personnel that left Stalag 357 at Fallingbostel on a forced march away from the advancing Allied Armies. After some 200 km the column was resting in a tree-lined lane near a small town called Gresse when it was strafed by four Typhoons from the Tactical Air Force on April 19th 1945. As a result of the attack there were over 100 casualties of which 42 were fatal. Some of the POW's who lost their lives had been captured at Dunkirk and had spent almost five years in POW camps. In August 2000, John Morrison returned to the crash site in Norway with his daughter, Lynn and her family. At a farm near where he Reg and Dennis had been helped he unexpectedly met the son, Torbjorn Hellan, of the girl, Joran, from Elverum Farm who had been staying at Sørmo farm with her friend on the night of the crash. 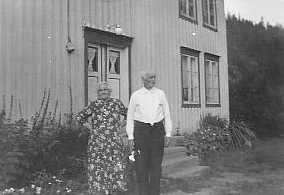 Elverum Farm was still in the hands of the same family. John was told that when the Halifax had crashed the Germans had gone up the wrong side of the fjord. They intended to cross the frozen fjord, but a Norwegian farmer on the other side had incorrectly told them that the ice was unsafe. This bought Reg and John vital extra time to make good their escape. Torbjorn then asked John what injuries he had sustained in the crash, and when John told him about his facial injuries and showed him the scars that he still bears Torbjorn rushed off to a nearby barn. He returned moments later with the flying helmet that John had been wearing the night of the crash 58 years earlier. It had been removed when John's wounds were attended to and John had left the house without it. The Hellan family had kept it all these years, passing it down through the family with the story of how it came to be in Norway in the hope that one day the young airman that owned it would return to collect it. In the late summer of 2001, and as a result of some of the investigations that were made into the crash of Halifax W1053 TL-G in Norway, contact was made with the young woman who came to Sørmo Farm that fateful night to translate for the airmen, Oddlaug Øvreness now Sørmo. She was put in contact with John Morrison, the Wireless Operator, who is now the only member of the crew of "G" George still alive today. Oddlaug was able to tell John that she had also been in contact with Ingvald Arnstad and also the daughter of Anna and John, Bjørg. Almost 60 years after the event, these people who met under such tragic and terrifying circumstance for a period of probably less than one hour had never forgotten meeting one another on the night of 28/29th April 1942. I would like to extend a very special thanks to all who have helped me to piece together the various aspects of what happened to Halifax W1053 TL-G and the crew. John 'Jock' Morrison has given me invaluable assistance and his tireless enthusiasm is commendable. Lang may yer lum reek John! In Norway I have had the unfailing and unstinting support on the ground from Morten Moe without whom many of the people who are part of this story would not have been found and much of this story would have gone untold. Thank you Morten - now tell me why it's so hard to find a moose?! Also in Norway I must give particular thanks to Einar Bjørsmo, Olav Vikvang, Oddlaug Sørmo, Egil Sørmo, Ingvald Arnstad, Tormod Langeland, Gudmund and Petter Trætli for their contribution and for making me feel so welcome in their country. To you all in Norway I will say..........Mange tusen takker for alt. Jeg er slik takknemlig til De all! You can now read about John Morrisons memorable return to Norway in June 2003 by clicking here.